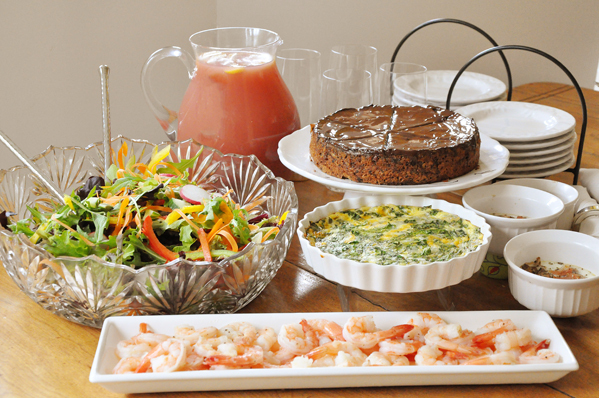 A simple, non-alcoholic punch perfect for any brunch, baby shower or wedding shower! Made with pineapple, cranberry, orange juice and lemonade. Who’s excited for the Royal Wedding? I sure am! My mother grew up in England, and my Grandmother as well, and they love the royals. We will be waking up bright and early to watch the wedding, I can’t wait to see the dress that Kate wears. I’m sure it will be gorgeous! Even though I’m Canadian, I’m still so swept up in all the Royal Wedding madness. Keep checking back as I’ll be posting new recipes every day up to Friday — I’ll also come back and edit this post with the full menu for those of you stumbling upon this recipe after the actual wedding itself. I find that sometimes it takes blog posts quite a few months to really pick up steam, so maybe you’re finding this a couple of months or even years later (will I still be at this blogging thing in years? I hope so!). This brunch menu starts off with this refreshing non-alcoholic punch. I figured because the wedding is taking place so early in the morning, it would be in our best interest to create a punch recipe without alcohol, but if you’re making this for another event, you could definitely add a little gin or some rum with a splash of soda water in here and it would be delicious! 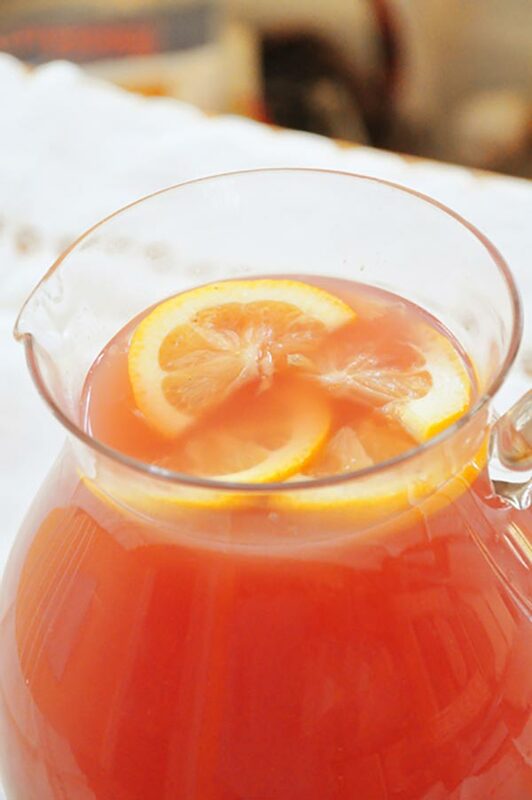 Let me know if you give this brunch punch recipe a try in the comments below. Hi just wondering when you say lemonade do you mean fizzy lemonade or sweetened lemon juice? Hi Liz, either would be fine here. If you prefer to have a little fizz in your punch then go with fizzy but if you'd rather it be flat then go with sweetened lemon juice. what is the recipe for the Chocolate Pecan Torte? please email me. This sounds delicious! We're coming up on our wedding and I'm trying to find a good punch recipe - this might it! I'm curious, how many servings does this make? I'm really struggling with how much we need to have! (And I apologize if I missed that somewhere in your post) Thanks so much!